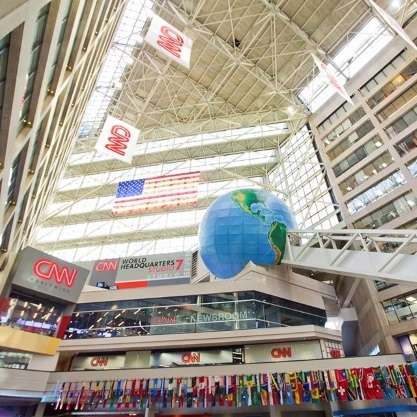 The CNN Center is the global headquarters of CNN Worldwide and houses multiple newsrooms and studios. The Center has venue space that can accommodate up to 400 people, and it hosts various events throughout the year, including tours of its studios and facilities. Parking: There are multiple paid parking lots around The CNN Center. For locations and pricing, refer to the Downtown Atlanta Interactive Parking Map. MARTA: Take the Blue or Green Line to the Dome-GWCC-Philips Arena-CNN station. Follow the signs to The CNN Center.